The Book Chook: What's the Use of Picture Books? What's the Use of Picture Books? Have you noticed there's a prejudice about kids reading picture books? We're fine with it when kids are in pre-school, or attending a read-aloud session at the library. But some parents actively deter their kids from reading picture books once they start school, pushing them onto chapter books as soon as they can read independently. It seems a book without pictures is perceived as some sort of trophy to impress others. What a shame! I believe picture books are great to share as a read aloud no matter what age your child is. A much-loved and often-shared picture book can eventually make a great beginning reader. 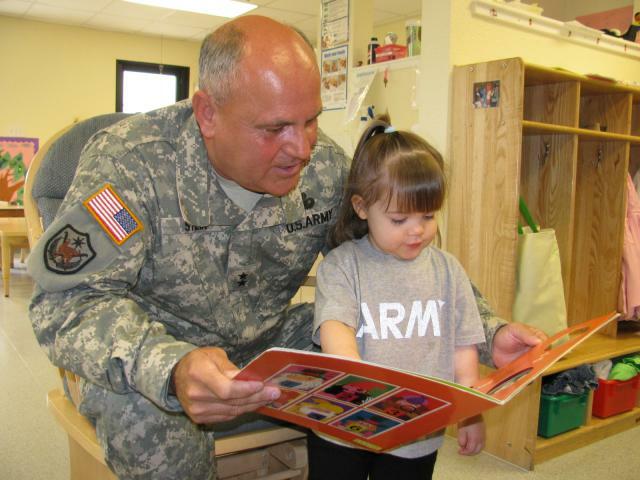 Kids have memorized its text and are almost role-playing reading when they read it aloud to you or their toys. From my perspective, a trade picture book is usually of much higher quality than a caption reader or phonic-based book. And why shouldn't people of any age read picture books? There are many suitable for older readers, bursting with material and pictures to entertain us and make us think. A book like Mirror by Jeannie Baker, for instance, can be read and appreciated by any age. "...every child should be able to choose and own the books they want to read, for that choice builds literacy confidence – the ability to read, write and speak about what they know, what they feel, and who they are." A picture book is like a window to the world for kids. It introduces them to our literary heritage, to the pleasure of story, to fascinating facts, to visual and textual delights created by both author and illustrator. It won't stop doing that just because a child moves up a class. Picture books are so powerful; why not share one with your kids today? Whether it's a real physical book, or an e-book for a gadget, there's so much pleasure to be had from sharing a picture book with someone you love. If you're looking for great picture books and ways to include them in your teaching, try Keith Shoch's blog, Teach with Picture Books, or explore any of the children's book review sites. At The Book Chook, go to labels in my right side bar and try "Reviews". You might also be interested in my article, What's So Great About Children's Literature? There are some excellent points too, in this article on Naturally Educational. Your (not to my face) comment made me laugh. I voted for you at kleenex moms. You asked us to share a favorite picture book. That's hard. How about The True Story of the 3 Little Pigs? Wonderful post. Quite a few years ago when I was still teaching in secondary school I convinced my teaching team to base a whole Year 9 History unit on The Rabbits by John Marsden and Shaun Tan. I wish I had bottled the look the students gave me when I told them to come and sit on the floor so they could see the illustrations more closely ! We had a great term. Everyday the students found something new in the illustrations which gave us something new to talk and learn about. Much bigger impact that reading a paragraph from a text book. That is one of my favourite picture books for touching on a theme using an analogy accessible to everyone. Where the Forest meets the Sea is also a fav. It's the first book I can remember as a child that had an impact on me. I also can't go past the classic, The Very Hungry Caterpillar. Too hard to choose only one picture book. That's a Scieszka book isn't it? I have heard great things about that one! My students always loved Roald Dahl's poems that encourage us to look at Fairy Tales from different points of view. Thanks for your vote Michelle! Love The Rabbits - I am a Tan Fan, and also love Marsden's Tomorrow series. That is such a good point about picture book vs paragraph! And I love thinking of those Year 9 kids giving themselves permission to enjoy a picture book. Great post - I wholeheartedly agree about the joy and value of picture books. I posted a similar article on my blog last year about the decline of picture books. Such a sad thing. On the issue of my favourites... there are so many! I am particularly in love with Shaun Tan's (http://www.shauntan.net/) books at the moment - especially The Arrival. But, just quietly, I collect all sorts of picture books and love them. Thanks for joining the conversation, Asha. Great to meet another picture book lover! If you subscribed to comments and read this, can you come back and leave the link to your blog post from last year? Thanks for a great post. I linked to it to send more peeps to your smart blog! I really enjoyed reading your post. My 8 year old daughter still requests for me to read her a picture book every night. Even though she is reading chapter books, I would never deny her the benefits of a picture book. Hearing a picture book aloud is unlike any other experience. Yes, she can read herself, but she wouldn't have as much time to listen and marvel at the illustrations. I think the problem is that people believe that picture books are simple and have simple language. Picture books are far from simple. They offer a variety of sentence structures, thought provoking plots, visual literacy, thinking and listening skills, art appreciation, auditory stimulation, interesting characters, new vocabulary, rhyming, and an emotional connection to the book and the person reading it. You just can't get that from a chapter book or novel. You're right, my son is 7, and avid reader of chapter books, but still sits down with picture books. One of the best I've found for his age is The Dunderheads - great illustrations and story to appeal to older kids. I agree with you. Many picture books are very complex in plot and structure; for example those of Anthony Browne, the UK's Children's Laureate. The pictures enhance the text, sometimes telling a very different story from the text. Children benefit from reading the book alongside an adult, to discuss the story and picture, and children need a fairly sophisticated visual literacy and vocabulary to really access the story. Fantastic post, Susan! You hit the nail on the head. I read more picture books than any other type and I like it that way! And though my second grader is capable of reading chapter books, I have not really pushed the issue, because he enjoys reading picture books so much. And if picture books motivate him to read (and I can sneak in a little learning here and there), I'm a happy mom! Thanks so much for the feedback, Marge! Wow that seems really sad... I started reading Noddy and the Faraway Tree with BabyG last year, but never as a replacement to picture books. I still have some of my picture books from when I was a child (I had to protect them from the dinosaurs of course), and one of the best times I've ever had was when my mum took me to see a Jeannie Baker exhibition of the original artwork for Forest Meets the Sea. I was 26! Actually, that exhibition is currently moving around the country- can't wait to take my cherubs to see it. Wow, Renee, your love for and appreciation of picture books really shines through your comment! I think one of the things I love most about picture books is exactly that - they are not designed expressly to be read by kids, so they don't have restricted vocabulary etc. Yet many children learn to read because of picture books and for many kids, picture books are what they learn to read first. It's such a lovely natural process where they pick up reading because of hundreds of read alouds, plus all the other literacy activities a loving parent offers - it really is Reading Magic as Mem Fox calls it. I'll look out for it, Ruth - love the title! Thanks, Ali B! That dual-layer feature is certainly something I appreciate about picture books and I love it when kids "get" what's going on in the visual layer. I totally agree with the sophisticated visual literacy and vocabulary need - this is when all that talking and singing and reciting rhymes and discussing pictures parents have done really pays off, I believe. Sharing picture books with kids really does add to children's vocabulary, as well as to their understanding of the world and empathy for others. Thanks Dawn! You're spot on with how motivating picture books are. Non-fiction picture books are such an amazing way for kids to access learning too. I love the fact that a genuine passion for learning more in a subject can be sparked in older kids who start with a picture book some clever teacher or parents has introduced to them. I loved reading The Faraway Tree to my students. I believe listening to a non-illustrated story has its place for sure - it's a wonderful way to encourage children to develop imagination by "seeing" pictures in their heads. But I agree that it's so sad to think of kids being discouraged from reading picture books for themselves because of some perceived inferiority. Or listening only to a chapter book after they get to a certain age, because of that same perception. Or GASP, missing out on read-alouds altogether! Let's tell the world of the advantages of picture books! Really? Adelaide (10 this year) still enjoys picture books. She does naturally gravitate to chapter books now but many a time I'll find her happily reading a picture book to her sibblings. It's gorgeous! I myself still enjoy a good picture book. It's a very special way of reading becuase the pictures tell half the story. Never stop reading picture books I say! Guess what? I totally agree! Thanks Asha! I love what you have to say about picture books being our first foray into using our imaginations and being creative. Long may they be so! Kim, I love the story about your son that you shared in that post. And to me, you nailed my basic philosophy of reading education with this: "When kids want to read, they read lots. When they read lots, they get better. Chapter books don’t make them better. Reading makes them better." It is a shame that picture books are seen as a "lesser" book. Nothing could be further from the truth. Picture books teach students so many more skills than reading alone, they teach kids how to approach a story, how to read context clues, how to infer, how to predict, and help them build a framework for imagining what they read. All so important! Great post!